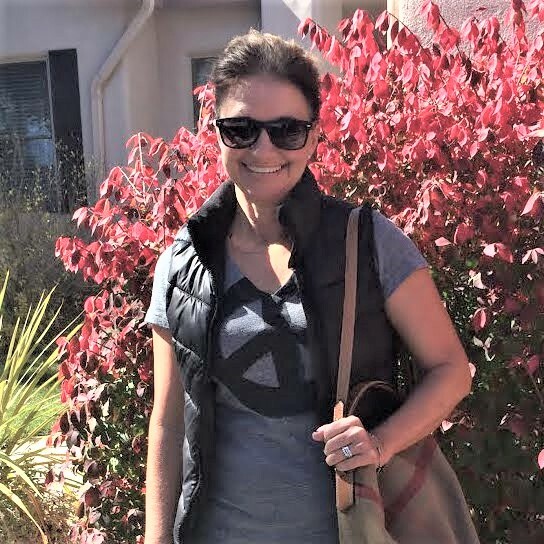 Fall-2018 The only thing piquing my interest this week!! One thing really piqued my interest this week- Fall Colors!! The New Mexico mountains are full of beautiful fall colors. It has really cooled off, and my hummingbirds have all left so I'm ready for a change of season. I wasn't going to decorate very much this fall but got inspired when I watched a friend's little boy one morning and we talked about pumpkins!! One of my new mantras is "I better do it because I CAN"!!! 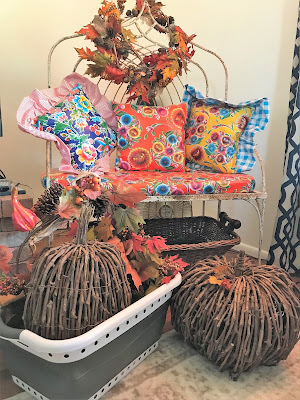 I have to say that a big help to me while getting out my decorations was one of my new favorite things- a collapsible basket!! I found it at my local grocery store and now don't know how I got by without it. From laundry to moving things as I organize, this Pop and Load basket has come in handy!! I collapse it for easy storage when I'm not using it. 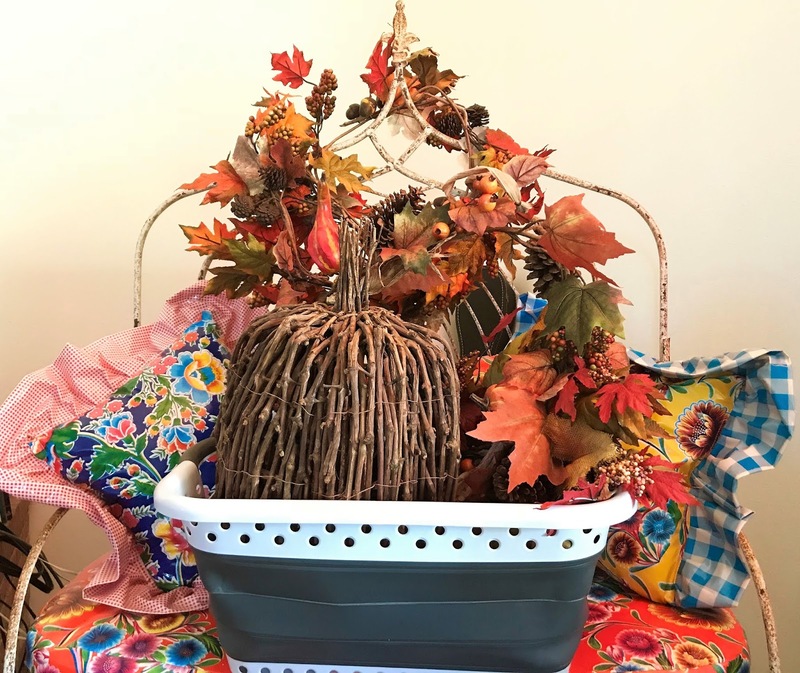 This Pop and Load basket was a huge help in getting out my fall decorations. The dark grey section collapses so you can see that it is really thin for storage. Here is a glimpse of my fall decor'. Serving cart belonged to Dr. T's grandmother. My Parents gave me this butcher block. It is my favorite thing in my kitchen. Fall mantel. Dr. T painted that picture when he was a boy. Sunsets have been beautiful lately! !